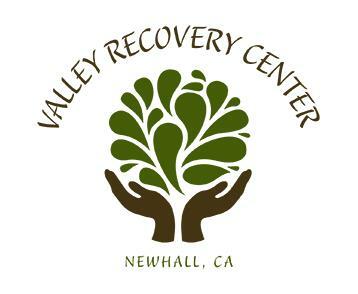 Valley Recovery Center for men assisting in San Fernando Valley and Los Angeles; firmly believes in giving our patients and their families guidance through the recovery process. The beginning road to recovery can be very overwhelming and confusing. One of our professional staff will provide help, be knowledgeable, supportive and provide comfort. Each of our clients will have all-inclusive case management care throughout the entire recovery process and aftercare. There are a multitude of programs with many methods and techniques to help with any type of addiction. Our programs include group counseling, individual counseling, family counseling and recreational activities. All our programs include 30-day rehab, 60-day rehab and 90+ day rehab. Group counseling sessions assist in a variety of topics such as addiction education, relapse prevention and relationships. Individual counseling provides the opportunity to educate about the addiction and work on ways to keep a successful recovery. Family Counseling helps the entire family to understand the addiction their loved one is going through and allows them to work together on the progress of the recovery together. Recreational activities are used to provide our clients to have a sense of purpose, healthier outlets and for the body to produce a natural endorphin from their own bodies. A 30-day rehab program is designed with specialized treatment team and plan, which is responsible to establish an individualized plan. The 30-day program is a short term option for individuals who are seeking thorough treatment. The 60-day program is designed for men to stay 60 or more days to gain many skills that will benefit to help to stay sober. A 60-day program allows the facility to focus even more on helping the addict to really change his behaviors and have a positive outcome. Our 60 day program offers two months of intense treatment care that is effective and concise in aiding our addicts to a successful recovery. A 90 day rehab is for individuals who are heavily addicted and will benefit greatly to the extensive and intense treatment. Upon entering the program you will first undergo an evaluation, which will determine your individualized treatment plan that will sufficiently meet all your specific needs. It is important to answer all questions with honesty pertaining to substance abuse, medical history and lifestyle to make sure you have an accurate assessment. This will also help our staff of professionals to have a complete understanding of your case. Our highly trained and licensed professionals will assist in the appropriate course of treatment, supervise and provide care throughout the entire recovery process.